Take a look around your house or apartment. Do you want to bring in some added fun and creativity, yet keep functionality? Consider blending the pieces you have with some new contemporary furniture, keeping the aesthetic line that you desire without breaking your budget. The choices of contemporary designs are almost endless, with something to match every taste and budget. All you need to do is sketch out the space you want to furnish and head out to one of the many contemporary furniture stores that can be easily found in shopping malls and outlets. If you’re not a fan of going out and shopping, you’ll find many online retailers that will ship right to your door. Contemporary furniture features sleek lines, bright materials, such as glass, and a creative use of space. It tends to be somewhat minimalist, meaning that it provides just what you need without any extra grandeur. The good news is that you can find contemporary furniture for every room, not just for the living or dining room. You can purchase contemporary furnishings for your bedroom, patio, study, and kitchen. The number and variety of pieces is abundant, with everything from bookcases and art pieces to bed frames and sofas. It is easy to mix and match with what you already have in your home to bring a fresh new look to your décor. 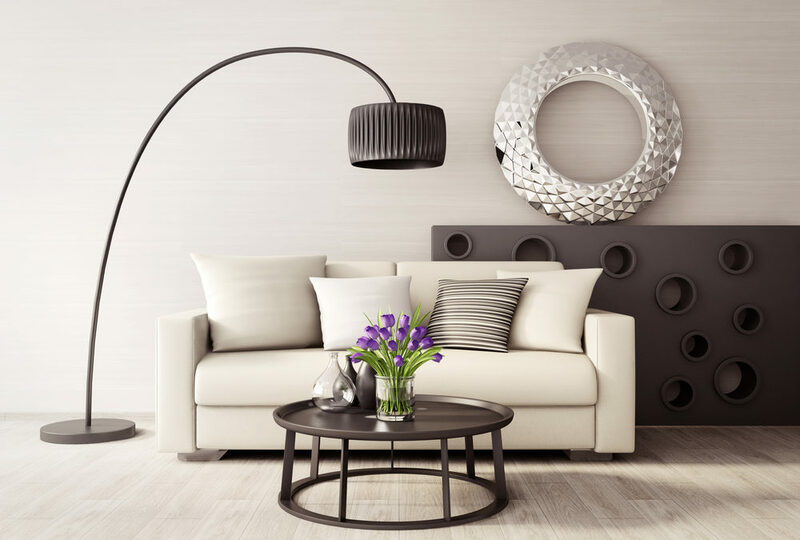 If you need help designing your new contemporary décor, you will have no problem finding an expert designer who specializes in this exciting way to furnish your home. Your local contemporary furniture store can give you references. The web is also a treasure house of furniture resources with large glossy photos to give you just the inspiration you need. Do your homework, remember to comparison shop, and have fun. Remake Your Home with Contemporary FurnitureIs your traditional furniture starting to bore you? Looking for something more creative, maybe even a bit radical? Watch this video to learn how to give your home a fresh look with contemporary furniture that is both functional and beautiful. You can completely remodel, or blend your new furniture with your existing décor, whatever best suits your needs and budget. Discover how to plan and prepare your space so that your new furniture fits perfectly. When you set out to buy your furniture, after measuring, planning and thinking out your new design make sure it is authentic. In this video you will learn about the manufacturing techniques and special materials of contemporary furniture. You will also learn where you can find high quality contemporary furniture that matches your taste in design. These are fabulous suggestions – home decor is more than just a look – it really says what you and your family are all about. These are indeed wonderful furniture for home decor. I’m in love with this furniture. Contemporary designs for room is always luxurious and beautiful. These are indeed wonderful furniture for home decor. I’m in love with this furniture. excellent design and use for furniture. it is a great way to enhance your home and make it look beautiful. This is very chill and cool. I think a lot of people will love the color and design. I’m in love with this furniture. I can’t wait to redesign my living room in contemporary style! I like all the ideas that you’ve mentioned. I hope that someday somehow I can find my own place that I can call my own for the benefits of my family. Because as of now, my family and I are living in a small place. I will surely follow these ideas. More blessings to you. Contemporary designs for room is always luxurious and beautiful it enhances beautification and i liked the above post it’s concept is appreciatable. Very good information here. Home decor is so much more than how things “look”. It defines who you are! Wow! I am totally wordless by watching this. Just amazing furniture with fabulous design.I started imagine my room with this designing furniture. Very informative video, good job. This is very informative and well described. It’s easy to understand all the points being made about how to design a room. I enjoyed it a lot and will share what I learned with all my friends. I like both contemporary and classic design. Each one has its own beauty. What really matters is the composition. I like the above decoration, it looks fantastic. Great suggestions, it takes a certain mind to spot this! Great Furniture. I want to buy this for my living room. I love the photo and design here! The purple tulips with the black/white decor are very appealing! I hope it truly is for every room and budget! I love the contemporary style. Wish my living area looked like this. My mother taught me how important home decorating is. She would definitely approve of this style! This is some good stuff. Really opens my eyes to some different possibilities and different way of looking at things. Well done! Gorgeous. Contemporary designs are some of the best! This contemporary designers really are ready to help you out to insert some fresh in your home! Honestly, we need some better interior design also. I think starting with the windows would be smart financially, as well as getting the most bang for the buck. This is very nice. I am a huge fan of creative arts and designs and I love this style of design. It is innovative and appealing. You are on the right track with this. Wish my living area looked like this Very good information, thank you ! Awesome Furniture Design, really help me for my house interior, thanks a lot! Nice blog about art and designs. Very very innovative. Very interesting! I wish to decor my home like this. Both Contemporary and classic designs are equally cool. It looks like a very modern design. And your many types of designs for every budget are very useful for everyone who wants to be in trend without spend a forture for that. Very interesting ideas,even for my so low budget! 🙂 I really appreciate this!! Actually that written topic is helpful for those who want to decorate their buildings.They can get a lot of ideas from that post.I am very happy to your post.Thanks for share. Lucrative design. It would be a great collection and I will do it whenever there will be a chance. This is very cool.Very interesting ideas,even for my so low budget! I like the above decoration, it looks fantastic. Really awesome design.Nice creative design with white back ground .Please share more. I like this furniture’s model it’s very attractive I hope it’s service will good too .Thanks for your helpful post. It is amazing article. I like this articles. Thanks for sharing it. This looks like a modern design both contemporary and classic design. I like it ! Nice collection of Modern Furniture.It is amazing Furniture and design are creative. Nice design of all the furniture. At first sight it would like to buy one of them. It sounds beautiful and affordable. I think I might buy one. Astounding! I am completely noiseless by watching this. Basically surprising furniture with radiant design.This is to a great degree illuminating and all around depicted. It’s direct every one of the concentrations being made about how to arrange a room. I thoroughly enjoyed it an incredible arrangement and will confer what I made sense of how to each one of my friends. This is very nice and standard design for every room and hand on budget. Really i like this furniture and i thing all of are choice it. Really cool and awesome furniture, also very informative and well described. This is a pure bliss.I love the simplistic designs, and find them so calming, since there is not a lot of needless clutter. Liked the contemporary design. Very interesting ideas,even for my so low budget! Colors & Designs are fabulous. It is simply a great opportunity to decorate home even every room with such kind of lucrative and exclusive design with reasonable price,I think this will be the best choice. This is really informative article. I like it. Awesome and lovely design of this furniture will enhance the beautification of my house. I’m in love with this adorable design. Its really awesome. Contemporary furniture features sleek lines, bright materials, such as glass, and a creative use of space. It is quite good. I love it. Very nice furniture.Colour and design is really awesome.Want to buy some furniture. It is very famous site & famous video.It easy to understand all the points being made.Colors & Designs are fabulous. wow !! I love this designs, look like Very very innovative. This is really amazing and nicely describe about this furniture i really appreciate it. Thanks For this post. It’s easy to understand all the points being made. I am in love with this furniture. I can’t wait to redesign my living room in contemporary style! This looks like a very modern design and Very interesting. I am very happy to see your post.Thank you very much. wow these are very awesome furniture . and appreciate you suggestions. i very much like those ideas . looking forward to apply them on my own place ! I love the simplistic designs. I think a lot of people will love the color and design. Thanks for sharing. It is very nice video. It has many nice collection. I like it. I love the colors, the amazing and nicely done design, it has a class to it, hope i can enjoy some of it soon. your house design is really good , i like this your house design , i try my house design same to you..
You displayed your idea about interior design smoothly. I like the idea of using contemporary furniture design. Keep it up and keep posting innovative Ideas. Really awesome Furniture Design, help me for my house decoration, thanks to create this site. Nice design. Neat and clean room good looking. gorgeous design and fine piece of art. Fabulous post. I was looking for some advice to decorate my new apartment. Design seems unique. Just amazing furniture with fabulous design with some simple thing. Nice article and nice pic. Thanks for this article. This article is full of with very important information about contemporary furniture design. This website and this article help me about furniture design. Thanks a lot for this informative article. Amazing. Contemporary designs are the best choice! Awesome furniture design, really help me for my house, thanks a lot! Wow this is a wonderful drawing room .I like this room and room design. This article is full of with very important information about contemporary furniture design. It’s easy to understand all the points being made about how to design a room. I enjoyed it a lot and will share what I learned with all my friends. A great contemporary art, excellent design!!! really all these content is very nice and I like all very much. Thank you to give such beautiful idea. the tips seems fitted for this designs. Thanks for sharing this very creative article. Contemporary Furniture Design it’s great. I always wanted to decorate my room with some exceptional things and in an exceptional way. But i never imagined with the simplest things i can really decorate my room in an exceptional way. Thanks to you. I found here very good furniture and prices, my wife and I are very impressed with the kinds of furniture on the sharoneperlsteinblog website. I found here very good furniture and prices, my husband and I are very impressed with the kinds of furniture on the sharoneperlsteinblog website. colors and design are so innovative…I like this article…. I really need a makeover for my room, after watching this I am getting some ideas in mind the concept of contemporary furniture design is really unique and looks graceful if we use a proper color combinations then it is just fantastic, now i am going to step forward to makeover my room with this concept, thanks for share this. decent furniture simple but fashionable in its own way love the design. Very nice design and the article is very helpful. it gives me a great information how to choose furniture based on budget. Useful idea for furniture within budget. I hope to design my house like this. These are fabulous furniture . home decor is more than just a look. – it really very good for house. Very Nice furniture concept according to our modern age. I am pretty lucky to have found this furniture guide article to read. this is one of the valuable post. I am finding this and at last I got it. The information is so effective. Love the Design and concept! It’s beautiful! Congrats! Wonderful furniture..looking gorgeous..Various designed Sofa are looking very wonderful…..love this﻿ furniture so much. Woow! The design and the style of this space is amazing! I just love it. You gave me a great idea how I could make my place comfortable and nice. Awesome Furniture Design, help me for my house decoration. Thank you and well done ! This is a nice design and I love this. I will definitely buy this kind of beautiful furniture. T The color is very decent. Very nice furniture idea. I would love to implement this idea on my own. It seems like the budget supports this concept too. Really nice! This tips are very useful and interesting. I love this furniture design! Gorgeous design and fine piece of art. , Very Nice furniture concept according to our modern age. I am pretty lucky to have found this furniture guide article to read. Very gorgeous Contemporary furniture design. very suitable for modern time. Wish to get these furniture. This designs are awesome.Contemporary designs for room is always luxurious and beautiful.I love the decoration. It’s creative and inspiring design. I’d love to get this lovely design furniture. Well defined. I didn’t know that much of uses of modern furniture. This is a very nice blog with very beautiful household modern furniture designs. Top taste, outstanding always. It’s Very nice and thanks for this good ideas. A design so simple and artistic. you even keep your space as well, wow! am impressed. the furniture are just mind blowing, and coupled with fact that i have a thing for furniture totally awesome..
the concept is very impressive. i really like the color arrangement and also the space after all that furniture. surely i can tap from this amazing idea and employ in my arrangement. thank for that. wow its show many design furniture and looking very attractive for all visitor thanks for sharing. I like this design . It is look nice .. I love it..
Really breathtaking lines in furniture design. I prefer those new designs, they usually fit all around, you can combine them with so many classic styles and yet, your area of living can still look great. Practical, useful and lovely. Wow, This is really amazing collection of furniture design. I like it. The design and the style of this space is amazing !!! I love this furniture design! Really great concept. I love the design of furniture. It’s too attractive. I really like the color arrangement and also the space after all that furniture. A design so simple and artistic. I really impressed. Thanks. Very nice and comfortable choice for you… Well organized with nice piece of HQ material which these parts are made of… I have exactly this one in my dinning room! Gorgeous!!!!!!!! Very attractive.Nice choice of color.Great job.Rocommended….. I am really excited having this collection.Impressive and mind-blowing furniture design.Long-lasting product makes it preferable from others.Hope this will suit with every household decoration system. A very nice model! !suitable quality with nice design!! i hope buy it a day!! This is really a very nice way. The designs are awesome.Contemporary designs for room is always luxurious and beautiful.I love the decoration. I really love it so much! Wow this furniture design is very attractive. I am very happy to see this type of article. It helps me to decide my room with modern furniture. I like this furniture i feel with pleasure to use it .it looks good for eyes. I like the suggestions, very creative and helpful, I might get some furniture like this, it gave me ideas. HOOOOO……..this furniture i finding. IT IS VERY USFULL TO US.The designs are awesome. wow wonderful design its my dream so thanks for design. I like all the ideas and minimalist approach for home design. Very good information here. Home decor is so much more than how things look- people can tell who you really are when they enter your home and see all the stuff you posses. Thanks for Info !!! This is beautiful design and very comfort with the budget.while we looking for decorate our home we looking for best.Here I can say it,i find the best one. I am loving Contemporary Style. I really like to redesign my house with beautiful contemporary furniture. It’s really cool. These furnitures are splendid and certainly would give any home the desired comfort required. The designs are unique and the quality looks like a good stock. Am glad I stumbled into this amazing site. This is very informative post that i have ever read. I am glad to read this because i am looking for this type of writing for long days. This is an elegant. It is simple but elegant. These are mind blowing furniture. I liked them very much. Just awesome to see. Wow, great site! Thant’s it which one is very helpful for me now as next month I am going to get married. Now I am happy that I can decorate my house nicely according to this furniture. Good job! This website provides how to design your living room.designs are very attractive.Very useful website. I enjoyed and ready to help I really appreciate Thanks to give this article and the video. It is the very nice post. I really like the design. It is very informative information about the furniture and how to decorate the room. The design of the furniture is really gorgeous and attractive.I like it very much and I want to decorate my room with this well decorated furniture. It is the very nice post. I really like the design. It is very informative information about how to decorate the room with furniture. I love and like such kind decorate room. I would love this futuristic furniture in my new house. it looks great and clean. I think this is affordable design. I have liked the design. It seems like a very modern design. And your many types of designs for every budget are very useful for everyone who wants to be on the trend without spending a fortune for that. Its really beautiful for a modern room with high class standard people. So really inspiring for everyone. Lovely designs, really simple and very nice. Contemporary Designers brought an revolutionary in the field of furniture. I’ve already started using this furniture thanks designers. This furniture is really good and cool. The design and color is awesome. I wanna buy this kind of furniture for my new home.